A variety of Red, White & Blue fabrics for the flags- you can make each flag different, which is part of the fun. Yardage for the sashing, backing & binding. 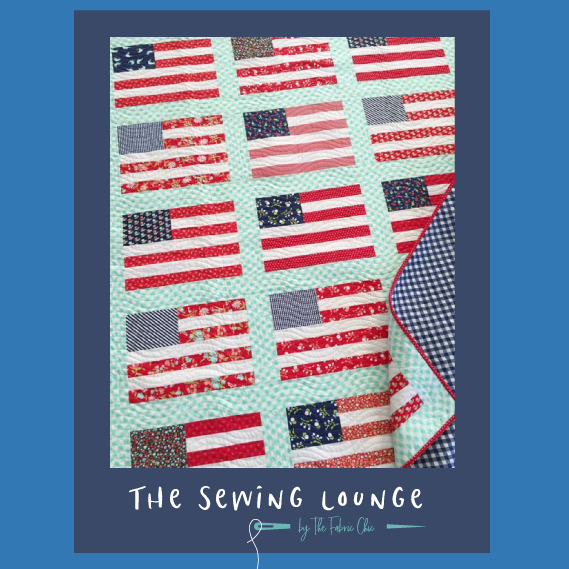 ***We've found it works well to bring a little extra fabric to trade at our SEW-ALONGS! It enables everyone to have a "scrappier" quilt - so please bring fabric for swapping if you're interested! If you started this quilt last year and didn't finish it, this is your chance!